Preppers pride themselves on, of course, being prepared. Any situation that can arise, a prepper tries to be ready for with supplies and knowledge. Food for a 72 hour survival situation is hardly a concern with the reserves in your cache; same for fuel, supplies, etc. What most preppers miss, however, is the most basic “emergency” concept we are ever taught. In fact, the idea of having emergency funds- or a rainy day fund, is one that we are taught early on as kids. But, we often forget to apply that idea to the prepping world. We get so caught up in the stockpiling of munitions, food and various supplies that we forget that some kind of currency will still be important in an emergency situation. Not to mention, it can have a huge impact on keeping your home safe and working well. Learning the “why” and “how” of saving emergency funds can be what puts you over the top in preparedness. Having an emergency fund is important in so many ways, because a catastrophic situation isn’t necessarily apocalyptic. Sure, you may think that emergency funds means buying your way on to a ship to escape Armageddon; but more likely it can mean supporting your household should the economy continue to break and crumble. Or, even more mundane, how about a medical emergency or just the refrigerator deciding one day to go to the great appliance store in the sky? Keeping an emergency fund can mean the difference between sailing through problems and making even the most minor hiccup a major ordeal. Take all of this and get your averages for what it costs to live your life for one month. You may be surprised, as you figure up your totals, at just how much your life costs- and how many things you could cut. This learning experience alone is worth the trouble, but here is where you start developing your strategy. Now you can figure up all of your income, and set up a budget for putting money aside for your fund. This is a big step, and it isn’t recommended or even feasible for most people to just set aside a large chunk of money at once. However, you didn’t acquire all of your emergency food, supplies and knowledge in one weekend either, did you? Start putting away a little at a time, until you reach your holdover goal. Your goal should be whatever makes you comfortable; 1 month, 3 months, a year- whatever you can manage. Because every bit of cushion you put between you and financial problems is worth the trouble. Imagine the stress that would be off of you, in the case of a layoff, if you knew you had the available funds to support your household for nearly a year. There is some debate among preppers and financial experts alike, over how best to hold your funds. Some believe that the only logical solution is to go with precious metals; gold, silver, platinum, etc. Which is well and good, and we will get into that; but for now, consider the fact that the US economy does still run on US dollars. You’d be surprised at how few grocery stores are set up to take gold bullion, shameful really. 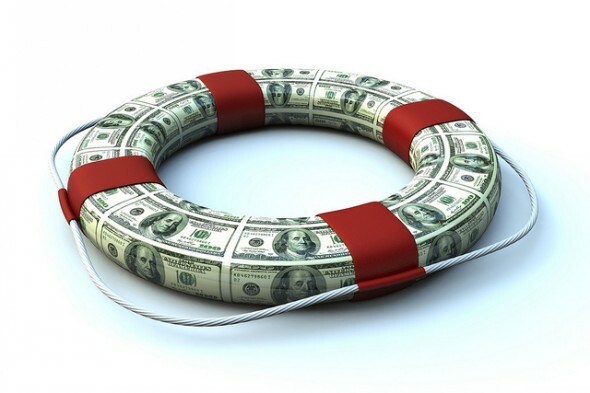 So, while you are setting up your emergency fund cache, go with cash-preferably a mix of small and large bills. These prices are near the all-time highs for each of the “big 3” in precious metals, you just don’t see them lose their value. Once you have made the big cuts to set aside your emergency fund, you can start adding to it with precious metals. Silver may not be the highest value, but it is a fantastic entry point for investing in precious metals and from there you can move up to high value PMs. An important note here about “where” to store your emergency fund. Of course, the government and banks will tell you “put it in the bank.” Because they need your money to make money for themselves, and in the event of an economic crash the banks can legally freeze assets in order to keep their liquidity and you won’t see a dime. So putting an “on-hand” emergency fund doesn’t make much sense, if you can’t get to it. Grandma would probably have stored it in her mattress, but we would suggest investing in a good fireproof safe. There are many affordable and double-tough models out there that will be more than sufficient to hold your funds. For extra safety, consider a waterproof bag for your cash resources; because, well, we like to be prepared. Once you have a good, hidden, location for your safe; bolt it in place and tell no one about it. When resources are scarce, people will try to grab what they can- however they can. Don’t paint a target on your back. It is impossible to know what tomorrow holds; but as preppers, we seek to be prepared for whatever it might be. Having an emergency fund that is on-hand and safely with you for a rainy day, is just one more tool that the prepper has to ensure their household’s safety.